Pet Screen meets the needs of Pet owners by resisting tears and punctures caused by dogs and cats. Pet Screen is 7x stronger than traditional insect screen and offers nice outward visibility and good air flow while providing strenth and protection from animals and debris. Ideal for heavy traffic area. 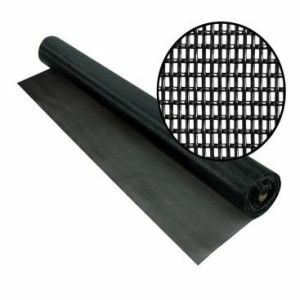 Pet Screen can be used in window screens, sliding screen dorrs, decks and screened patios. We carry only Phifer Inc., Pet Screen. Ask for it by name. Phifer is the world leader in fiberglass and extruded vinyl coated polyester screening. Phifer Screen is made in the USA.